« Who has the right to take proceedings ‘off the record’ during a deposition? The Supreme Court of Wisconsin recently ruled that police did not violate the Constitutional rights of James Brereton by seizing his vehicle and installing a GPS tracking device under the hood to monitor his movements. Authorities came to suspect that Brereton was involved in a string of burglaries that had taken place in Rock and Walworth Counties after witnesses reported seeing two men in a blue Pontiac near several of crime scenes. Investigators managed to pinpoint the specific vehicle that had been observed and came up with a plan to catch the suspected burglars in the act. Rock County police stopped the Pontiac for a traffic violation and, when neither of the occupants had a valid license, the car was towed. 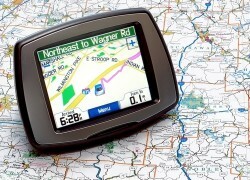 Authorities then obtained a warrant and arranged the installation of a GPS device. After tracking the vehicle’s movements for several days, police noticed that it stopped in a residential area of Janesville for a brief period. Officers who went to investigate found a home that had been burglarized. When they followed the GPS signal to the Pontiac, police found Brereton and his associate riding with a computer monitor and other items that were reported stolen, as well as $1,300. Brereton attempted to suppress the evidence against him on the grounds that police officers’ use of GPS devices to monitor his movements constituted an “unreasonable search,” prohibited under the Fourth Amendment to the U.S. Constitution. This claim was rejected each time the accused burglar filed an appeal, culminating in the Supreme Court ruling on February 6. Police would have had a much more difficult time putting a stop to the string of burglaries without the GPS tracking device implanted in Brereton’s vehicle. Furthermore, they could not have secured the authorization to put their plan in motion without relying on the statements made by witnesses who saw the vehicle. 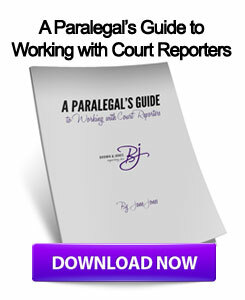 When it is critical to capture an official record of a witness deposition, no one gets the job done like a certified court reporter. This entry was posted on Tuesday, February 12th, 2013 at 5:59 am	and is filed under All Posts, Wisconsin Legal. You can follow any responses to this entry through the RSS 2.0 feed. You can skip to the end and leave a response. Pinging is currently not allowed.